The first relay race in Olympic history – a sprint medley consisting of two 200-meter legs, a 400 and an 800 – was held later on July 25, and the U.S. team won easily. Taylor ran the 400 in 49.8 seconds. One of those 200 legs was run by his fellow Penn Quaker, Nate Cartmell, and the 800 by Mal Sheppard, a former Brown Prep teammate. After the Games, Taylor stayed in Europe to compete, returning to Philadelphia that fall. 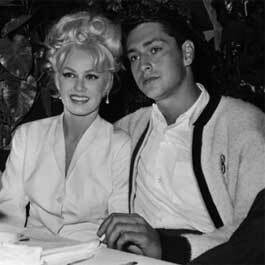 At some point, he contracted typhus, fell ill and died at his parents’ home on Dec. 2. I wanna thank everybody who has taken the time to check us out in our first week. So far we’ve been having a lot of fun, and look forward to keeping the momentum moving forward. Of course, we can’t do it without your help. All we ask is that you help us spread the word by following us on twitter, friend us on facebook, and if you see an article that you like, please click “Like” below it. Thanks! With a soccer-specific stadium in beautiful Chester, an average attendance that the playoff-bound Sixers don’t rival even in an arena with 2,000 more seats, and a team atop the table early in the 2011 season, soccer fever is running high in Philadelphia. While most young fans think that Philly’s soccer history goes only as deep as the Zolos, they’re wrong. And while some of the older guys might think we started in the 70s with the NASL’s Philadelphia Atoms and Fury, they’re wrong too. 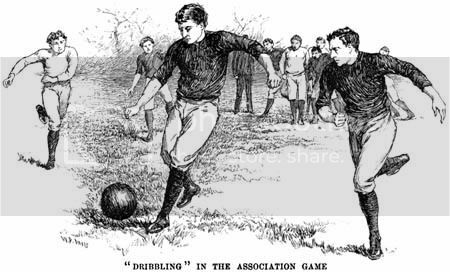 Though it seems like we are new kids on the block when it comes to the beautiful game, Philly was playing professional soccer…err football when Grover Cleveland was in office. Turn back the clock to 1894. The owners of six teams in the National League of Professional Baseball Clubs (better known simply as the National League) get together to do what sport franchise owners do best: figure out new ways to make money. They decide to take advantage of their stadiums, which went unused during the winter months and capitalize on a sport with a relatively small, but growing fan base: association (as opposed to gridiron) football. 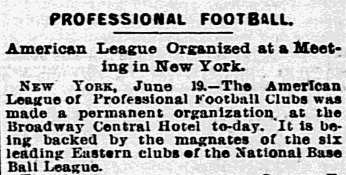 And so, on June 19, 1894 the American League of Professional Football was born. While the owners were publicly confident about the ALPF, their actions made it clear that the ALPF was more about extra revenue and marketing baseball than it was about building soccer in this country. For one, there were no “soccer people” in the ownership of the ALPF. 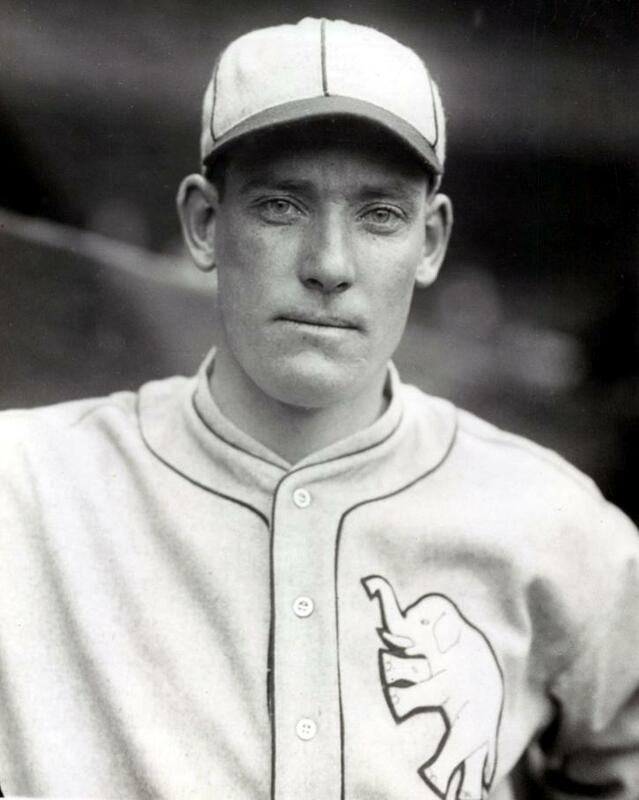 In fact, Arthur Irwin, then manager of the Phillies was named the league’s president. Secondly, all of the six teams that made up the league took the names of the baseball teams in their respective cities: the Brooklyn Bridegrooms, the Baltimore Orioles, the Boston Beaneaters, the New York Giants, the Washington Senators, and your Philadelphia Phillies. And thirdly, only Baltimore hired an actual soccer coach to manage the team, the rest used a combination of their baseball managers and front office members. 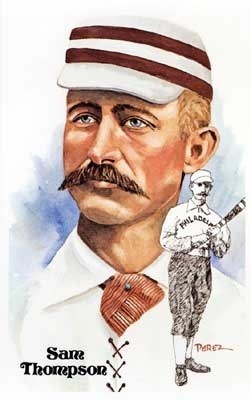 Sam Thompson, the Phillies' Hall of Fame OF and gimmick RW. Not too surprisingly, neither the Phillies nor the league flourished. 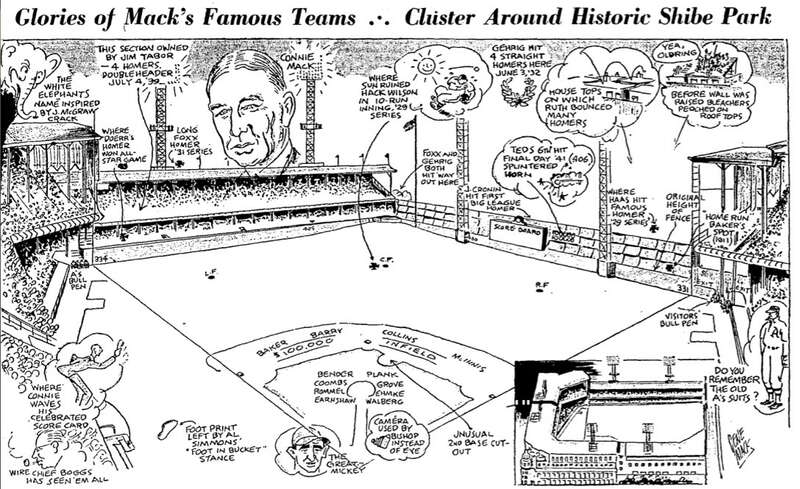 Despite charging only $0.25 per ticket (half of the cost of a baseball game at the time), the team drew about 500 fans per game at Philadelphia Base Ball Grounds (later rebuilt and re-named the Baker Bowl after a fire). In a failed attempt to attract fans, the team also had a few of the NL Phillies play for the ALPF team. One of those crossover players was Sam Thompson, a baseball Hall of Famer who hit .407 with 13 HR and 141 RBI in 99 games in the 1894 season. The schedule of the games also severely limited attendance as games were played on weekday afternoons when the immigrant working class was still at work. With that scheduling, the ALPF missed out on a large segment of the population who was actually familiar with the sport. The Inquirer’s reporting on the Phillies doesn’t disappoint. The sport itself is described as “decidedly interesting” even though it is “robbed of the Rubgy roughness.” The Inquirer noted that “all of the players are of either English or Irish extraction, and some have been imported especially to play in the new league, except Charley Reilly the Phillies’ third baseman, who is new to the game, but who promises to become one of the best players.” I’m not too sure the Daily News would be so kind to Placido Polanco if he tried soccer on for size. They may have been tough, but they weren’t very good. The Phillies finished 2-7 and only one spot ahead of the last place Senators. 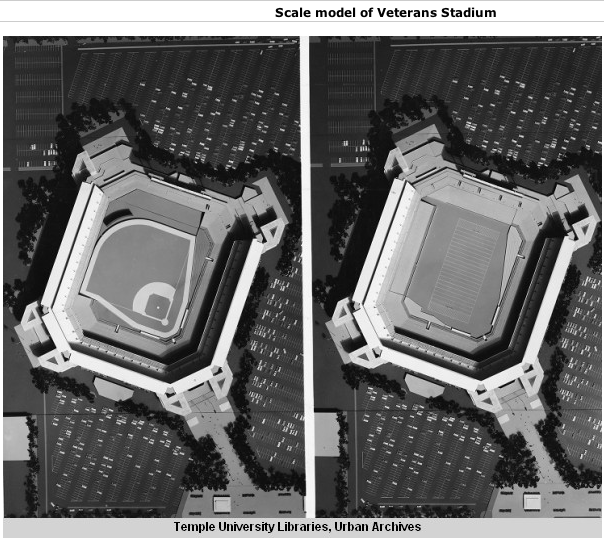 The ALPF itself didn’t fare much better than the Phillies. Just 18 days into the season, the season was cancelled, most likely because it was not economically viable. And although the owners originally planned on continuing the league in 1895, that never occurred and the ALPF disappeared for good. A league that spanned less than 3 weeks almost 117 years ago can’t be considered a success, but it was America’s first professional soccer league and Philadelphia was right in the thick of it. Credit to The Philly Soccer Page, which contains a host of soccer related pieces. Its comprehensive two-part series on the ALPF served as a source for this article. Joe Frazier: When the Smoke Clears from Riverhorse on Vimeo. It is strange that Philadelphia chooses to identify itself with a fictional boxer who overcomes monumental odds to become champion, when they have a real life boxer whose story is far more incredible than anything ever penned by Sly Stallone. Joe Frazier grew up in South Carolina, the son of a one-armed moonshine runner. He dropped out of school to become a farmer, but after objecting to the way his employer beat another worker, he was fired. Frazier decided to move north, staying with his brother in New York City. He found no work in the Big Apple, and desperate and dead broke, moved to Philadelphia. There he started working at a slaughterhouse (sound familiar?) and learned to box. You probably know the rest of the story: The three epic bouts with Ali, the two losses to Foreman, and the still burning hatred Frazier has for Ali (with good reason, quite frankly). But unlike the other heavyweight champs of that age (Ali, Foreman, Holmes, who are all millionaires), Frazier ran through all of the money he made as a boxer, and his gym in Philadelphia recently closed. 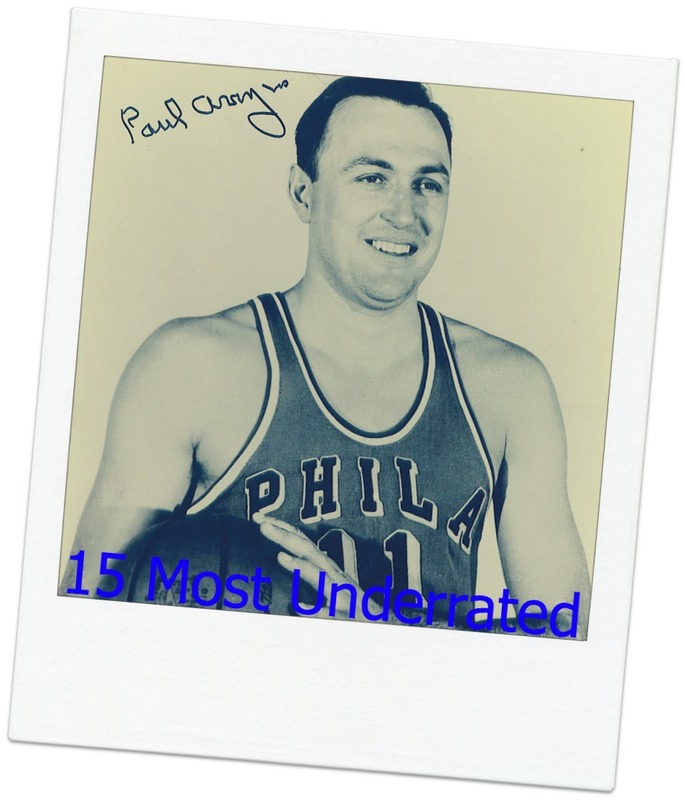 Frazier is the type of athlete that Philadelphia usually celebrates proudly: an athlete who made the most of everything he had, overcame enormous odds to get to the top, and left it all in the ring every time he went out. Furthermore, when his career was over, he came back to Philly to train young boxers and try to keep them off the streets. So why hasn’t the city warmed to him? Comedian Bill Burr offered a theory when he raged against a Philly crowd a few years ago (extremely unsafe for work). Ah, the Rocky statue. Remarkably, a Rocky statue exists in front of our world famous Art Museum while the Facebook page to build Joe Frazier a statue has a mere 30 members. It defies explanation, and while racism certainly has something to do with it, it doesn’t explain it all. It’s not like this is a lily white town, nor do local white people seem to harbor any sort of a grudge against Frazier. I think it has more to do with a couple of other factors. First of all, boxing popularity is at an all-time low, particularly at in the heavyweight division. People don’t think about Frazier because they hardly think about boxing at all. Moreover, while Philadelphia has a reputation as a boxing town, I’m not so sure I believe that still holds true. The Blue Horizon recently closed. The fights I’ve seen at the New Alhambra are never packed. I never, EVER, hear anyone in Philly talk about boxing except for a few older heads at my gym. The city has also never warmed to the remarkable Bernard Hopkins, who has a fascinating past, has overcome long odds, and is in the discussion of greatest middleweights ever. There is a new documentary about Smokin’ Joe Frazier set to be released next month, and it will cover these topics and more as it follows Joe and the last days of his gym. It was shot several years ago, as the gym was closing, and the film has recently been completed. The Joe Frazier Gym has since closed, and as far as I can tell its future is still in limbo. This looks like an interesting film, with interviews from childhood friends of Frazier’s as well as boxing luminaries (including Hopkins, Foreman, and Holmes). Perhaps fittingly, it will not debut in Philadelphia.